This past week I have been cleaning and organizing my craft room. Again. This is a recurring event. I get everything put away and cleared...then I start a big project or get ready for a craft show and the next thing you know I can't even walk into the room. I have a lot of stuff, no doubt. 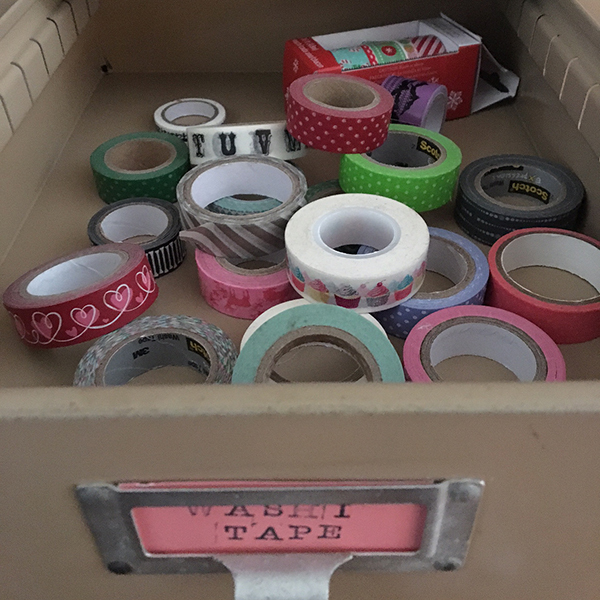 I tried the KonMari Method, but the problem is... I love all my stuff and it all brings me joy. Thus, very few items find themselves on the way out the door. I am not a minimalist. I am a self-admitted maximalist. The one key thing I have found for someone that has a lot of stuff, is you gotta keep that stuff organized. I have a wide selection of shelves, bins, and containers to keep myself organized. Then one day, the heavens parted and Aaron found this on Craigs List. 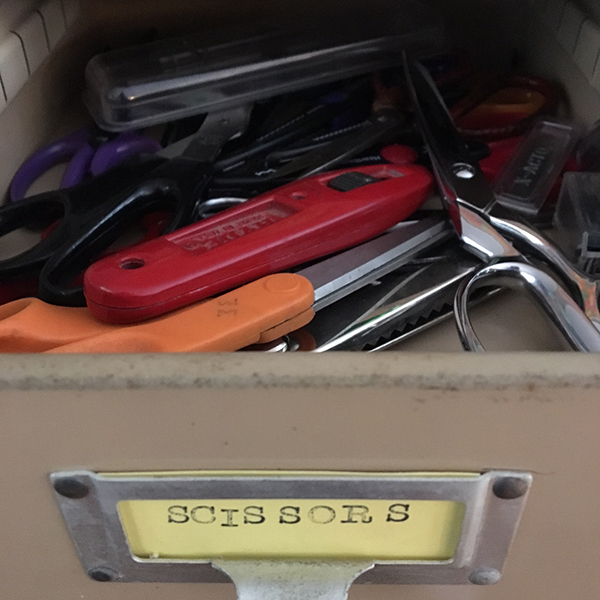 It's a metal office cabinet with 33 drawers sized for 8 1/2 x 11 papers. 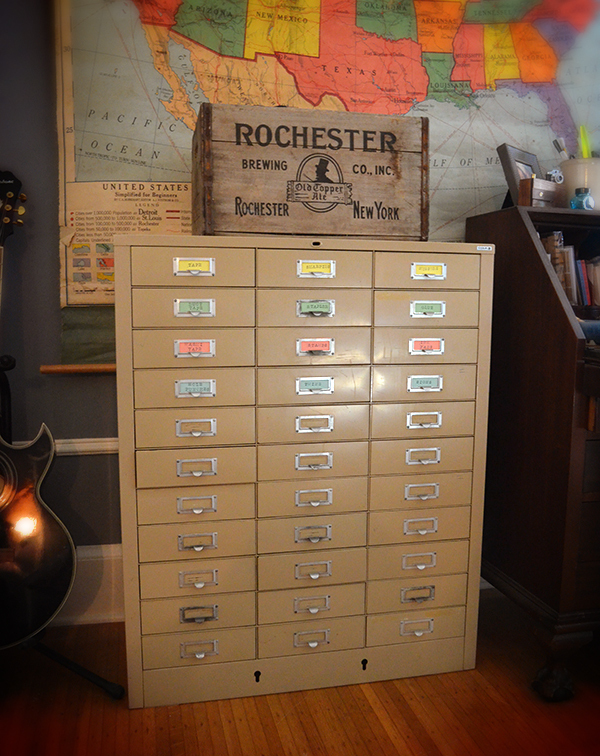 I had been looking for an old card catalogue but this was even better. 33 drawers for all my goodies and a spot to label each drawer. 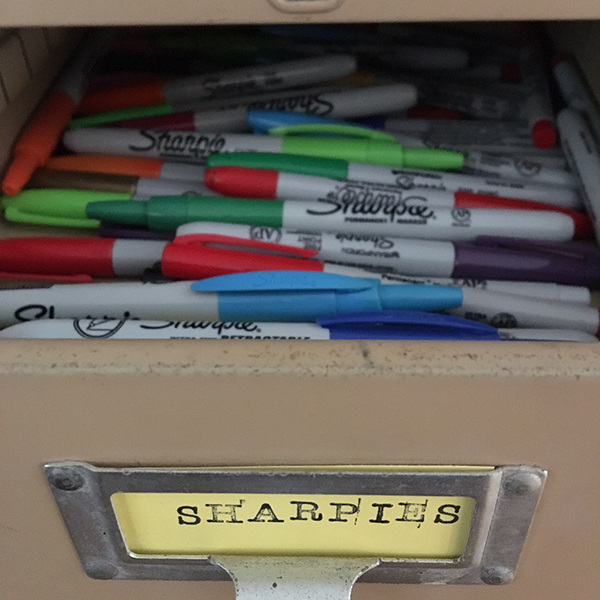 Organizing heaven! 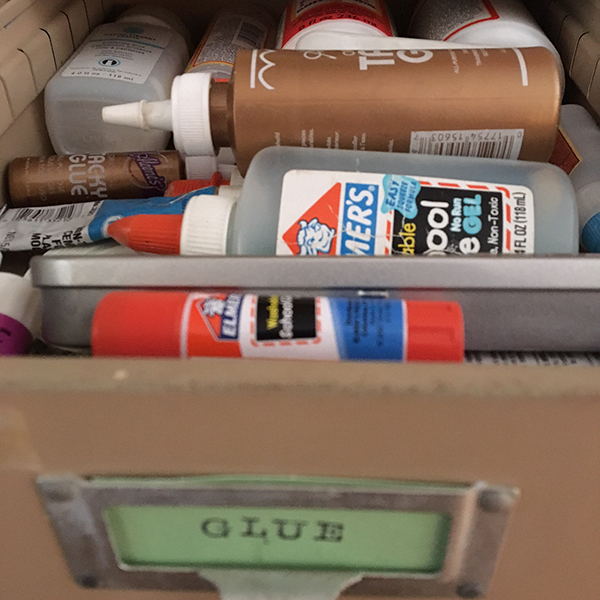 I am able to stash away categories of tools, craft supplies and other various items in each drawer. I love sorting stuff. Here is a peek at some of the drawers. 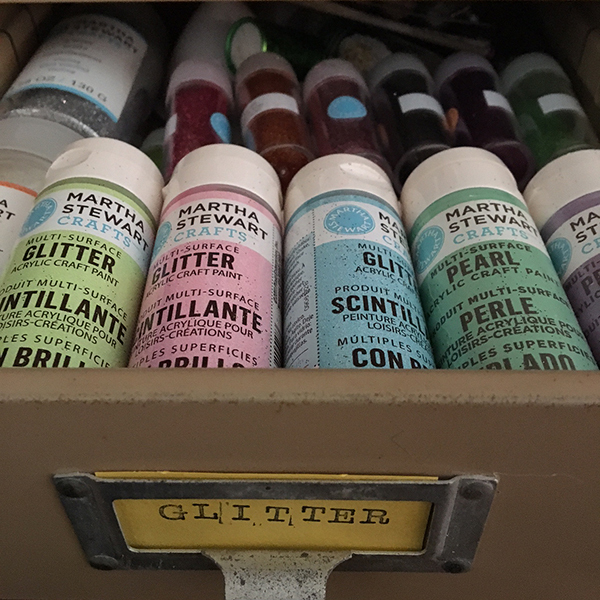 A dedicated glitter drawer! Fantastic!